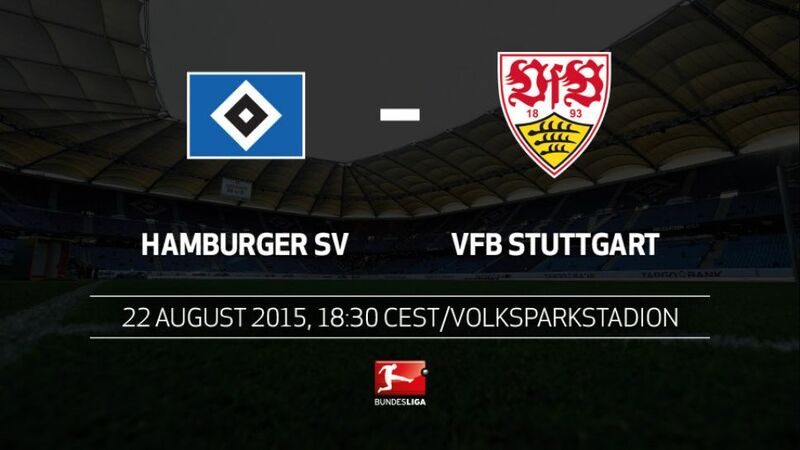 Hamburg – Hamburger SV and VfB Stuttgart have both had first-hand experience of the difficulties of a relegation battle in recent years, so will be desperate to get their season up and running on Saturday (kick-off 15:30 CEST / 13:30 GMT) after each succumbed to defeat on the opening day of the season. Hamburg have now failed to win on the opening day for five seasons running. It’s three years since they lost their first two games of the campaign. Along with Hoffenheim, HSV are the only other Bundesliga team yet to win a competitive game in 2015/16 after also losing in the first round of the DFB Cup. HSV haven’t lost a single one of their four competitive home matches under Bruno Labbadia. Stuttgart ended a seven-game winless away run with victory at SC Paderborn 07 on the final day of 2014/15. Labbadia was in charge of Stuttgart from December 2010 until August 2013. Gotoku Sakai, who left Stuttgart for HSV earlier in the summer, scored one goal in 87 Bundesliga appearances for VfB. Stuttgart could have been relegated if they’d have lost to HSV on Matchday 33 of last season, but instead leapfrogged their opponents thanks to a 2-1 win. HSV have recorded more wins against Stuttgart than any other club (42), but are winless in their last four against the Swabian side (D1, L3).